Croatia, this small country in Eastern Europe is blessed with breathtaking cultural and natural wonders. 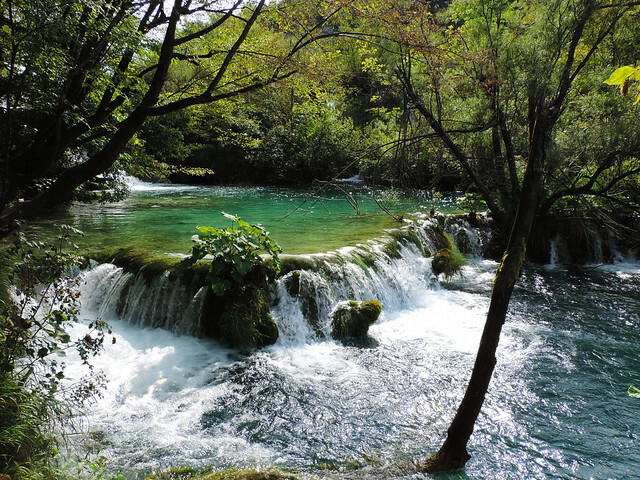 One is Plitvice Lakes National Park which is one of the most stunning national parks in whole Europe in our opinion. 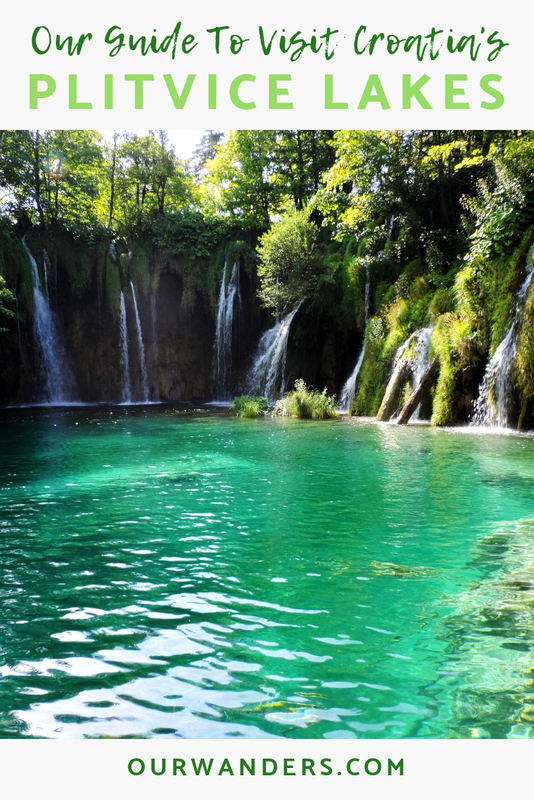 Just imagine a chain of 16 perfectly clear green lakes joined by countless bigger and smaller waterfalls. It felt like heaven on Earth from the first moment we entered the park. What makes Plitvice so unique? 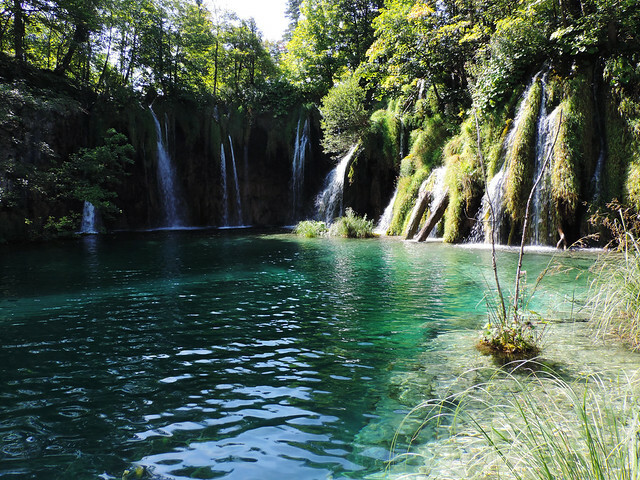 Plitvice Lakes National Park is one of the most impressive karst entities in the world. 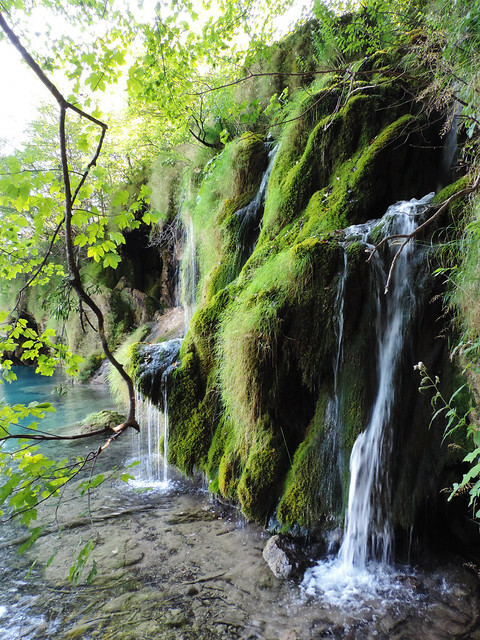 It’s located in Central Croatia and it belongs to the Dinaric karst area. The most famous sight in the park is the 16 terraced lakes joined by waterfalls. The walkways and hiking trails lead around and across the water, small waterfalls are often thundering under the visitors’ feet. 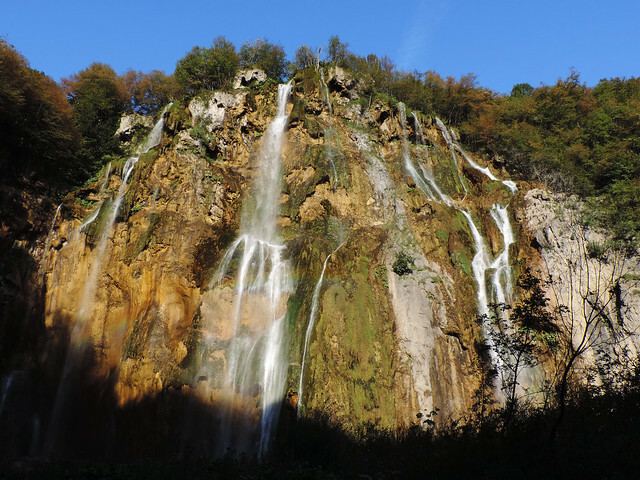 The highest waterfall in the park is Veliki Slap with 78 metres. 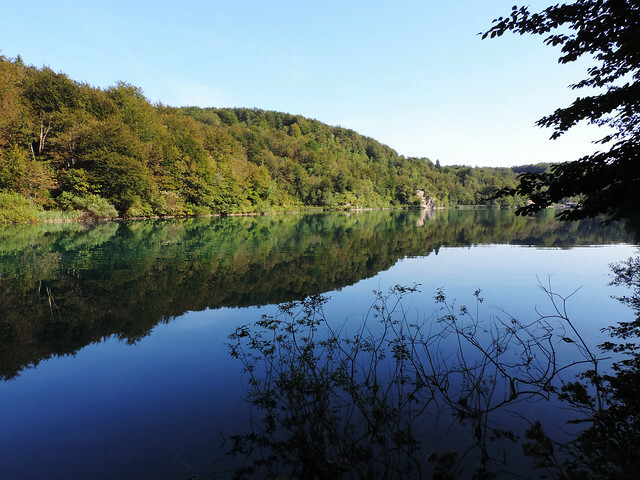 Three ferry routes across Lake Kozjak link the Upper and Lower Lakes areas. Most of the waterfalls are in these two areas and Lake Kozjak, the biggest of the lakes connects them. There are 3 entrances to the park and several routes to explore it. Different visiting programs are put together by the park stuff which made our planning very easy. We only had to choose a program what we liked the most. 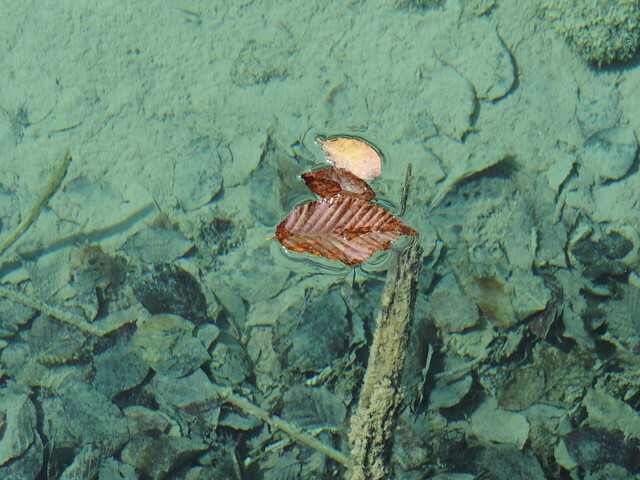 You can find them on Plitvice Lakes National Park’s official website and also at the park entrances. The visiting programs vary from 2-3 hours length up to 6-8 hours length. 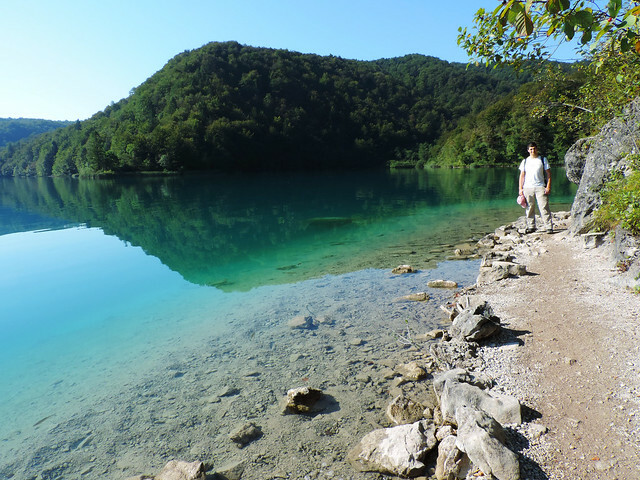 We chose the longest one (marked with letter K) and we really think that Plitvice Lakes deserves a whole day! There’s so much things to see here that a couple of hours will easily end up in a crazy rush. Moreover, the longest route took us to some lesser known areas of the park where we could enjoy the peace and serenity much better than at popular and busy Lower and Upper Lakes. With that said, Plitvice can get quite busy! Maybe it’s not world famous yet, but the number of visitors increase each year and summer is the most popular season. Croatia is a beloved summer destination anyway and of course, the lush green summer beauty of the park is a good explanation, too. What can you do? If you plan for summer, arrive early to see the Lower and Upper Lakes areas as those are the busiest during the day. Or plan to visit the park in shoulder season. Late spring and early autumn could still be perfect and the weather wouldn’t necessarily be worse than in summer. Weather is quite unpredictable there anyway. We’ve heard about July visits with full days of rain and we had a perfectly sunny visit in September. You need some luck with that. Prices are also cheaper in shoulder and low seasons. Even winter has true magic in the park when all the waterfalls are frozen. We are wondering about a winter visit now… Prices and opening hours in each season can be found on the official website. 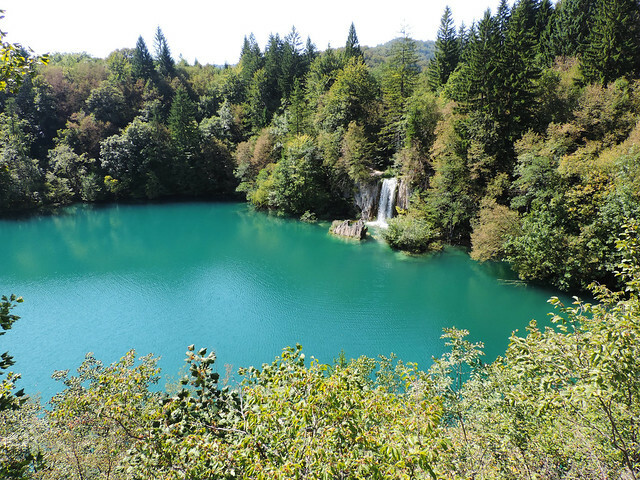 The magical mixture of blue, green, aquamarine and turquoise colors of the lakes. Walking on the boardwalks across the water. It made us feel like we are in the heart of this wonderland and we really were. 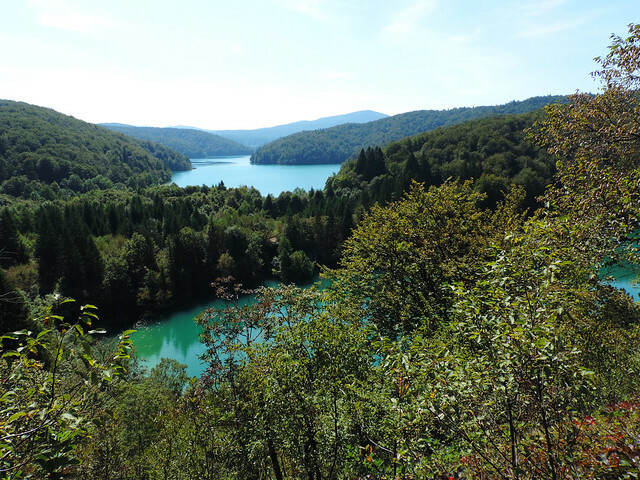 Hiking along Lake Kozjak and then above the lakes on route K. It was the most peaceful part of our day and we had some stunning views. View of the Lower Lakes and Veliki Slap, the highest waterfall from above at Entrance 1. Have we already mentioned the colors? It’s really THAT pretty! 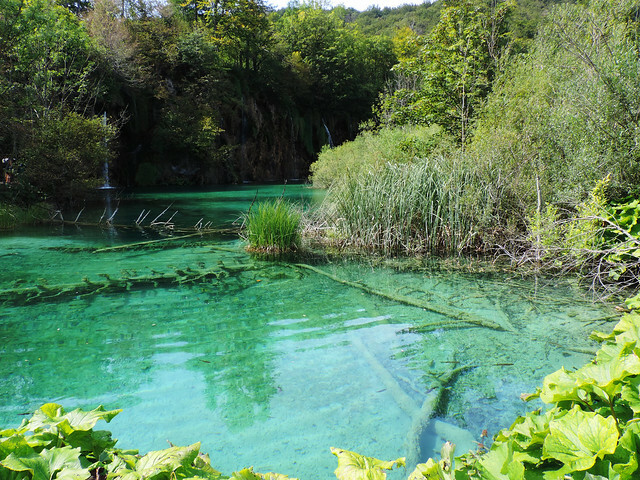 Have you ever heard about Plitvice Lakes? Are you tempted for a visit?